The latest SS19 collection has just launched at Ravel and we can’t wait to show you the new styles added. The SS19 collection gives a nod to the key looks of the season: vibrant contrast colours, soft metallics and animal prints. Designs flourish across elegant evening wear and versatile everyday sandals, exuding a new season confidence that will propel stylish women from AM to PM with ease! Inspired by a return to basics and living in harmony with the land, this season we take it back to where the aesthetic is untreated with a neutral palette celebrating the diversity of the world. 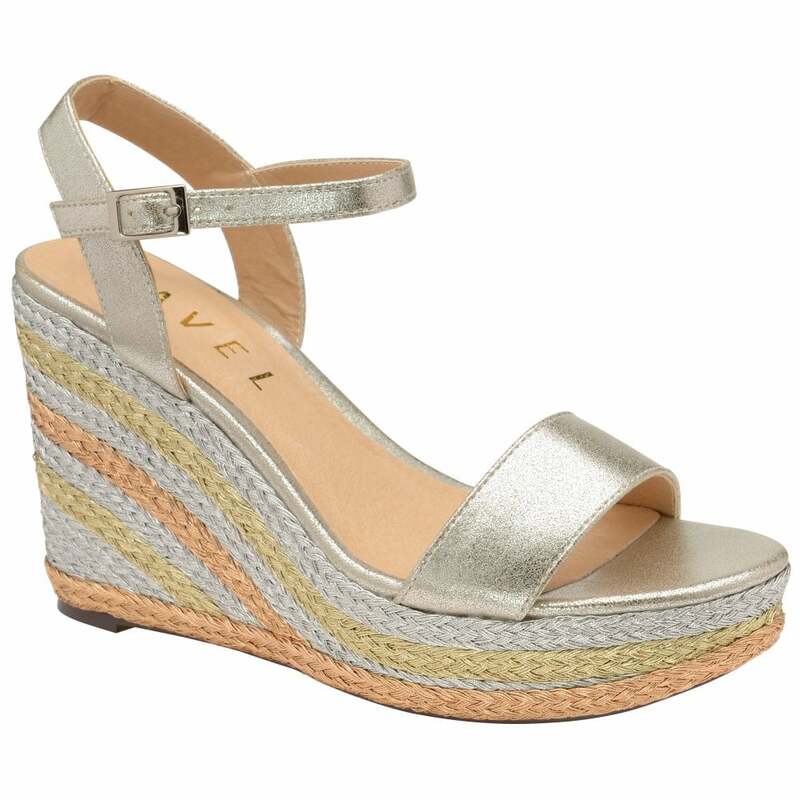 Ravel has the perfect spring/summer shoes that will take you from poolside to beach bar and beyond. Our collection includes shoes to suit all preferences including; flats, heels, slingbacks and slip-ons. Take a look at our breakdown of the newest trends to shop now. The new range draws on the colours and textures of a Mexican street party, think vibrant and confident. ‘Fiesta’ brings the festival feel to your summer footwear and features multi-coloured weaved and vibrant satin uppers, tassel detailing and hurrache styling which are influenced by the artisanal details and vibrant hues of Mexico. A summer fling for your feet, this collection includes essential styles such as the simple to slip-on Dania and the bold and elevating Dixie which offers added height with a block wedge heel. Also colourful is the smaller heeled Celmont, which features a detailed colour block heel in woven material. Some animal print sandals, such as leopard print, have been consistently on-trend for decades but others have joined them for the new season’s aesthetic. Zebra print is a trend you can expect to see everywhere this year and at Ravel this is no exception. The Manatee takes on the monochrome print effortlessly for a fashionable sandal you’ll want to wear throughout your summer endeavours. Leopard print gets a rework in our pony leather Franklin. Our collection of metallic sandals were just made for nights out on holiday. A silver strappy option like the Jackson tick both heel and gladiator trends off in one, whilst the Yulee and Dixie sandals both offer a wedge heel, with the Yulee also providing pretty embellishment for a stunning result. Pair our shimmering metallic sandals with a metallic clutch bag for a glam look or simply add to a simple dress for daytime chic. The SS19 collection doesn’t just include sandals, we also have fresh takes on classic silhouettes such as court shoes and slingbacks for the new season. The court shoe gets a contemporary update with the addition of a block heel in our covetable Barton style, looking for a higher heel? Take a look at the taller Baldwin version. The slingback also gets a block heel iteration in our Highlands shoe, which comes in a colour clashing fuschia with orange trim and a bold leopard print. Traditional court shoes with a slimmer heel are also available, see our recurring Edson shoe for an array of colours and designs from denim to mesh. Last but not least is our Brooker loafer, which updates the typical shape with a backless design to make it a slip-on fit. The Brooker has a suede upper which sumptuously soft for a comfortable fit and comes in a selection of colours and prints.